Yes, everyone can taste wine as it flows into their mouths, but do you know HOW to taste it? Join us as we sample six different Breaux wines and learn how to break them down beyond the categories of delicious, awesome or yuck! 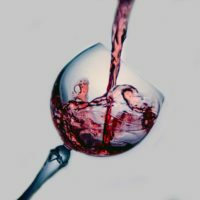 Learn about color, clarity, aromas, flavors, alcohol, tannins, acidity and more so you can identify the elements that make each wine unique. Tickets are $30.00 / $25.00 for Cellar Club members. Participants will be able to purchase bottles at the end of class for an additional 5% off.